This conference was initiated by l’École nationale supérieure d’arts de Paris Cergy in partnershipe with the SUD 2017 Triennal and the art conter Doual’art (Cameroon). It is an experimental platform of artistic investigations, mobile and open to all. It aims to question the problematics of borders and territories, but also to give space to contemporary issues asociated to African concerns, migration, it’s colonial and postcolonial consequences. This project has been conceived by Sylvie Blocher, Antoine Idier and Geoffroy de Lagasnerie. 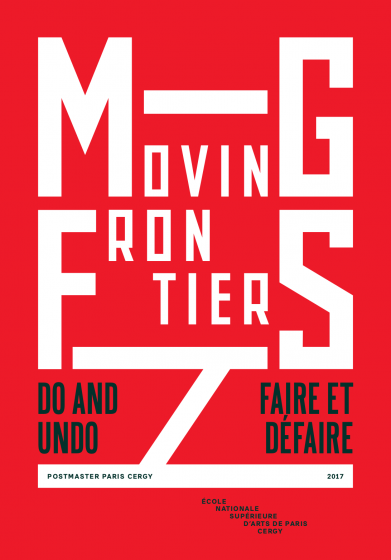 The project « Moving frontiers – Do and undo / Faire et défaire » is about thinking and projecting ourselves through the daily borders we are facing within our practices. It is about a space of artistic, theoritical and political practices, questionning the period in which we are living. Seven artists and international emerging artists have been selected. The team will be composed of : Soufiane Ababri, Alfredo Coloma, Badr El-Hammami, Cléophée Moser, Jean-David Nkot, Caroline Trucco, Hua Yang. Recognized for their practices, their works have been shown in art centers, museums and biennales as much as in residences worldwide. 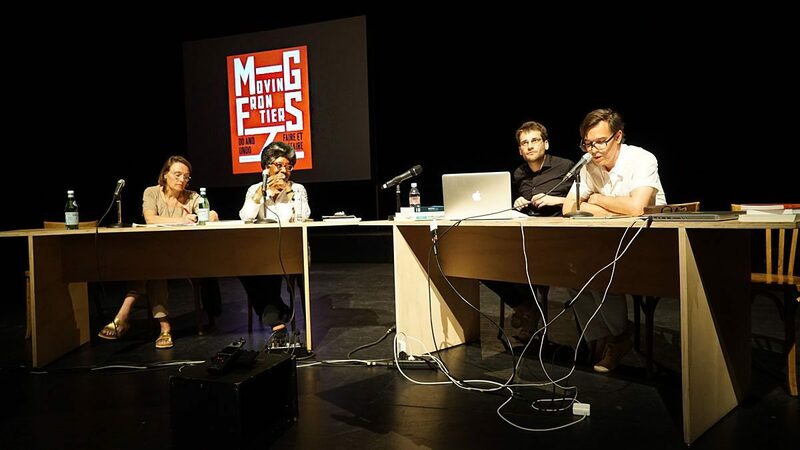 The successfull candidates will also be attending « Moving frontiers – Do and undo / Faire et défaire » at La Commune – Centre dramatique national in Aubervilliers, 31rst. of may, 1rst and 2nd. of june 2017 and after in October, in Douala, Cameroon and Feb. 2018 in Paris. A public conference took place on June the 1rst. from 14h30 à 21h, at La Commune, with Michel Agier (anthropologue), Sylvie Blocher (artist), Cécile Bourne-Farrell (curatrice), Manuel Domergue (historien), Marilyn Douala Manga Bell ( Doual’art director et du SUD2017), Clémentine Deliss (curatrice et historian), Zanele Muholi (artist) Laurence Prat (artist), Marcelo Rezende (curateur), Abdellah Taïa (writer), Françoise Vergès (politologue).